During her reign, HRM Rustique of Ealdormere was a great patron of the Games Guild. It was she that signed our charter, and it was she that urged us to hold tourneys and it was she who tried to get us into court as much as possible to make the Guild more visible. Thus, the Guild felt that she should receive a token of our appreciation. To show said appreciation it was decided to present her with a tafl board. 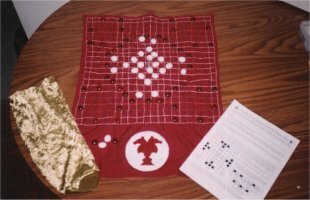 Brian Goodheart made the board, hand-stitching colour-coded lines so that the board could be used to play any version of tafl, from 7 x 7 to 19 x 19. It took him a half hour to stitch each line. Thorfinna gra'feldr then made a Guild badge in felt and hand stitched it to the edge of the board (picture above). Ragnarr kennari donated the glass playing pieces, Sylard kennari donated the hand made pewter king, and Colyne Stewart included instructions. When Rustique was given the board (outside of court, after she had stepped down) she was most pleased. It was presented to her by Colyne Stewart, Thorfinna gra'feldr and Wulfgang Donnerfaust. In the Kingdom of Ealdormere's reign of Siegfried and Ragni, there was a series of Royal Game Tourneys held. 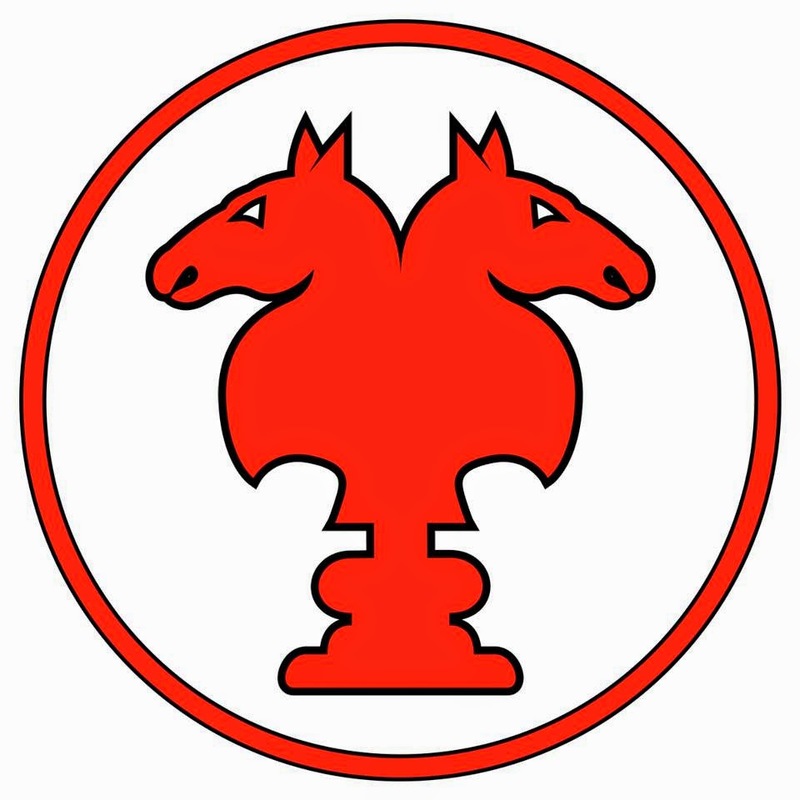 At most events during the reign, a member of the Games Guild of Ealdormere hosted a tourney featuring a different game. Each person playing received a point, with the top three players scoring eight, five or three points (depending on where they placed). The top player also received a prize (a copy of the game featured that day). At the end of the reign, the gentle with the most points over all won a box crammed full of gaming supplies donated by Guild members. Also, one of the Guild's members, THL Eirik Andersen, was named as TRMs' Games Champion at Their coronation.